Maryland has long been a cultural crossroads. For at least 12,000 years people have left traces of their existence in the form of settlements, roads and artifacts. The physical remains of our past are known as cultural resources and reveal how Native Americans, European Americans, and African Americans, among others, used Maryland's diverse landscape. The Maryland Department of Transportation State Highway Administration (MDOT SHA) avoids, minimizes, and mitigates damage to above- and below-ground resources in consultation with the Maryland Historical Trust. A balance must be maintained between preserving our heritage and maintaining our transportation system. Each year, MDOT SHA constructs hundreds of projects that range from sign installation, to bridge replacement, to new highway construction. In accordance with federal laws, our cultural resources team of architectural historians and archaeologists evaluate proposed construction impacts on buildings, historic districts, roadway structures, and archaeological sites. 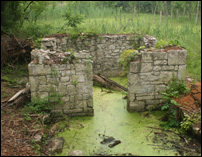 The Cultural Crossroads brochure provides an overview of MDOT SHA's commitment to the preservation of Maryland's significant archaeology sites, buildings and bridges. View the Cultural Crossroads pamphlet online or download a printable version. MDOT SHA reviews numerous projects with limited potential to affect historic resources each year. Following a Programmatic Agreement with the Federal Highway Administration, the Maryland Historical Trust, and the Advisory Council on Historic Preservation, MDOT SHA makes these project reviews quarterly. To receive these reports, email CulturalResources@sha.state.md.us. MDOT SHA archeologists study the past through the physical remains people left behind. These remains can be as small as a pottery fragment or as large as a sunken ship. Archeologists carefully excavate, record, and interpret artifacts that explain the activities of people who lived in Maryland but left few or no written records. The hallmarks of Maryland’s diverse cultural heritage are everywhere - from the 17th century signposts of Maryland’s settlers to mid-twentieth century suburban developments. MDOT SHA architectural historians explain our past by combining the investigation of historic standing structures with the interpretation of historic documents. MDOT SHA architectural historians partner with the Maryland Historical Trust (MHT) to survey, identify, and record Maryland’s historic standing structures in our mission to implement Section 106 of the National Historic Preservation Act of 1966 (NHPA), the National Environmental Policy Act (NEPA) and the Maryland Environmental Policy Act (MEPA). Maryland still in use. It is on MD 463 over Little Gunpowder Falls in Parkton, Baltimore County. Bridges hold a special place in our cultural landscape. They link to our past, other communities and economic opportunity. Maryland has many historic bridges eligible for inclusion on the National Register of Historic Places. In keeping with the National Historic Preservation Act and with our own commitment to protecting Maryland's unique structures, MDOT SHA works with the Maryland Historical Trust to identify historic bridges and small structures throughout the state. Click here to view the Maryland Historic Highway Bridges brochure. Click here to access an interactive map of Maryland bridges and archival photographs.